Do you wanna know what’s the best thing about Google’s Nexus 5? Yeah, there’s Android 4.4 KitKat and all that but the best thing about the set that makes it unique from other Nexus devices is the Google Experience Launcher. 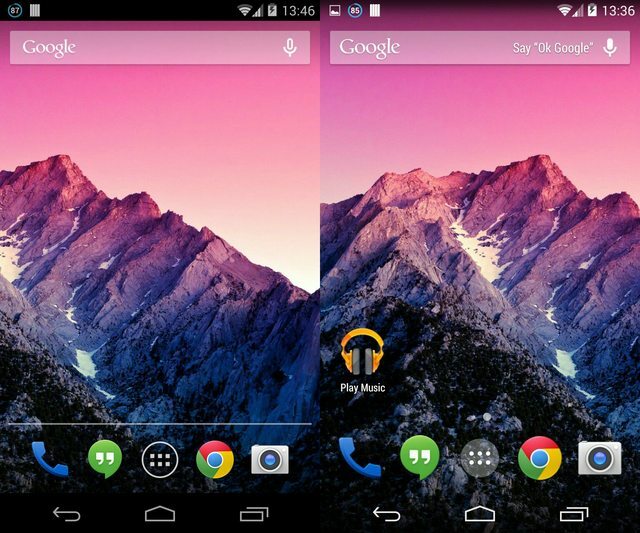 It’s a new launcher by Google that makes the Nexus 5’s homescreen look so elegant. Even though Google has rolled out Android 4.4 KitKat to many other Nexus devices like Nexus 4, Nexus 7 (both 2012 & 2013 models), etc but they haven’t released the Google Experience Launcher for any device. Worry not because installing Google Experience Launcher on ANY android device is really simple. It’s like installing an apk files, actually it really is installing an apk file. All you need to enjoy the Google Experience Launcher is an Android device running Android 4.1 or higher and Google Search (version 3.1.8 or higher), if you have both of these installed then just download the Google Experience Launcher from here and install it. Don’t forget to enable “Unknown Sources” before installing an apk file. I have tried it on both Galaxy Nexus and Nexus 7 (2012), it works like a charm.